"The Program has been in existence since 1966 and was originally funded through a grant by the Carnegie Foundation and United States Office of Education. In that year the first Metco legislation was filed, the service provider METCO Inc. was established, and seven school districts began accepting the first two hundred Metco students. Currently, there are about 3,300 students participating in 34 school districts in metropolitan Boston and at four school districts outside Springfield." 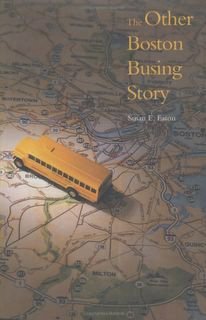 "Many people know the story of Boston's school busing order that went into effect in 1975 and of the violence that it spawned (Forced Busing). Few, however, know about the 'other' Boston busing story the one about Metropolitan Council for Educational Opportunity (METCO), founded in 1966 by black parents and activists as a voluntary school desegregation program." America's longest running voluntary desegregation program.